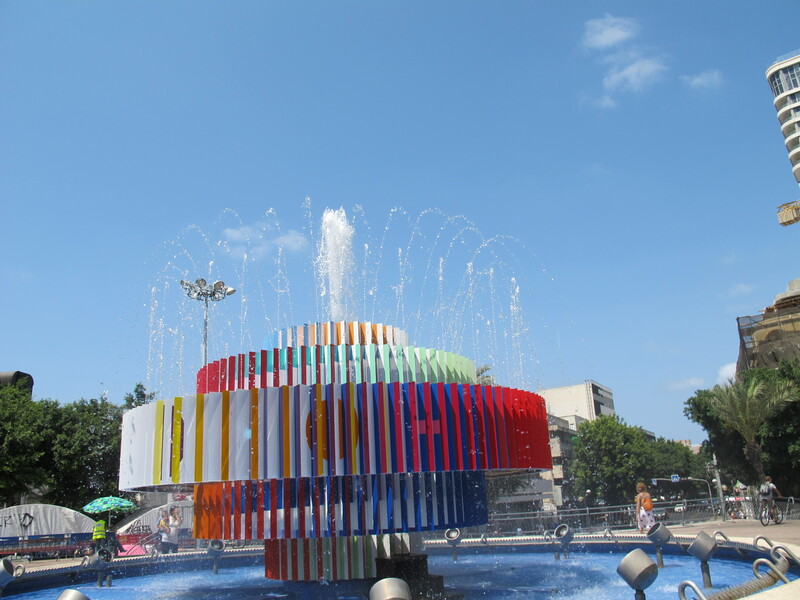 I can’t believe it’s been a year since I was in Israel! I go through my photos pretty regularly and have decided, along with my husband, that we must return in short order to explore some of the places we didn’t have time for last year. A driving force for my longing to travel there again? THE FOOD, of course. Everything is so darned good and fresh and tasty! One of the items I ordered and ate pretty often were meat patties, mostly at stands owned by Arabic or Lebanese Israelis. The ground nuts mixed with meat and warming spices gave them a bit of interesting texture – definitely not your average meat patty! They were sometimes served inside warm pita bread. 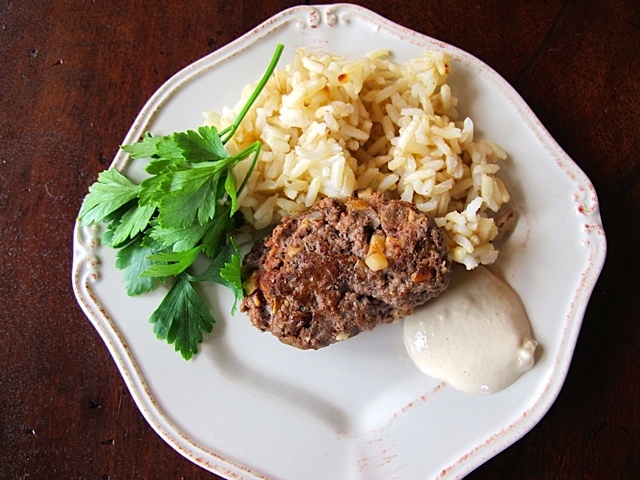 I have played with several recipes for these aromatic ground beef (or ground lamb) darlings, and have topped them with a tehina sauce and once with a yogurt-cucumber sauce (kind of Greek) — not very kosher, I know. I have a wonderful meat market close to home – A & J Meats. They have the best single source, organic, 85% lean ground chuck that I use for this, and I’ve made the recipe with ground lamb as well. Both beef and lamb taste great here so it is really up to you! Often I make a double recipe of these patties and freeze half raw on a waxed paper lined cookie sheet. Then when they are solidly frozen, I plop them into a freezer container and then remove a few as needed for those evenings I am uninspired or too busy to cook! Make the patties: Combine everything except olive oil in a large bowl and knead well with your hands until well combined. I wear disposable gloves for this task, always. Firmly form the mixture with your hands into two-inch long, slightly oval patties and set aside. Because there are no eggs or bread crumbs in this recipe to bind the meat, you will need press them tightly or they will break apart when you cook them. I always refrigerate them for at least an hour which seems to keep them intact. Serve with a tehina or yogurt sauce. 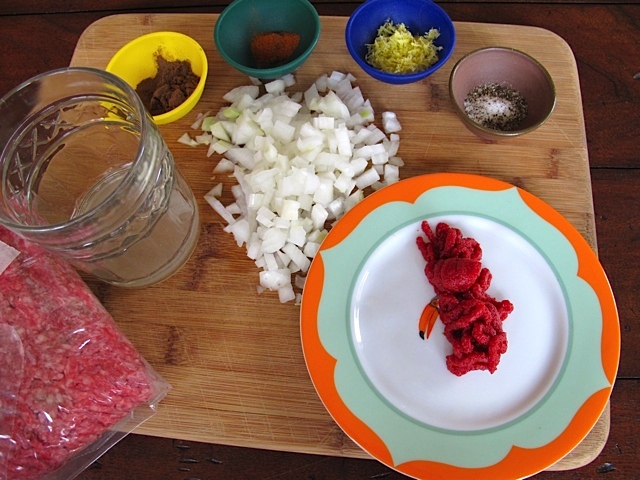 ¼ cup finely diced Anaheim chili , minced. Combine all the ingredients in a medium-sized bowl and let the flavors come together for at least an hour in the refrigerator before serving. Also good as a dip, or add radishes, carrots and even tomato for a salad type dish. Stir before using as the cucumber makes this more watery over time. Whisk all ingredients together – it will take a little elbow grease to get this combined and beat out all the lumps. Add more water if you prefer a thinner dip (I added a lot more water and it was still thick). This will keep in the fridge for a week at least and I use this to mix with grilled veggies, as a dip for crackers, on top of chicken or meat … endless possibilities! This entry was posted in Meat, Middle East and tagged Cucumber Sauce, Meat Patties, Tehina Sauce. Bookmark the permalink.